When we chose the phrase “Simply Better Dentistry” as our office motto, we wanted a brief statement that would describe our practice in its entirety. It wasn’t intended to only indicate the high quality of care that you can expect to receive, but rather all aspects of a visit to our office, down to the smallest detail. 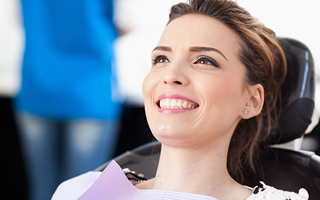 From the moment you walk in the door until the time you leave, we want your experience here to essentially redefine what a dental appointment means to you. It is a mission statement of sorts that we will always strive to maintain. We work for you. Our doctors and staff are highly trained in all areas of dental care and will always do what is in your best interest. At our practice, you are not judged or pressured by a demeaning sales pitch. You are respected as an individual and friend, and it’s our pleasure working with you to render the quality care you are comfortable pursuing. We value your time as well so you can expect that your appointments will be handled punctually. Your well-being is not a business to us and you are not a number. If you need our assistance at any time, we are here to help.